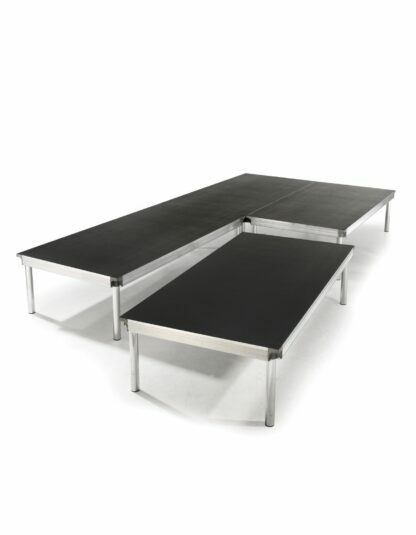 Our versatile stage consists of 4′ x 8′ sections that we use to build your custom size and shape. Installation is free when you order our delivery service. Choose from 8″, 16″ and 24″ heights. Available add on’s include Steps, Stairs, Skirting and Guardrails. Our stage can also be custom covered with carpet for an additional charge.